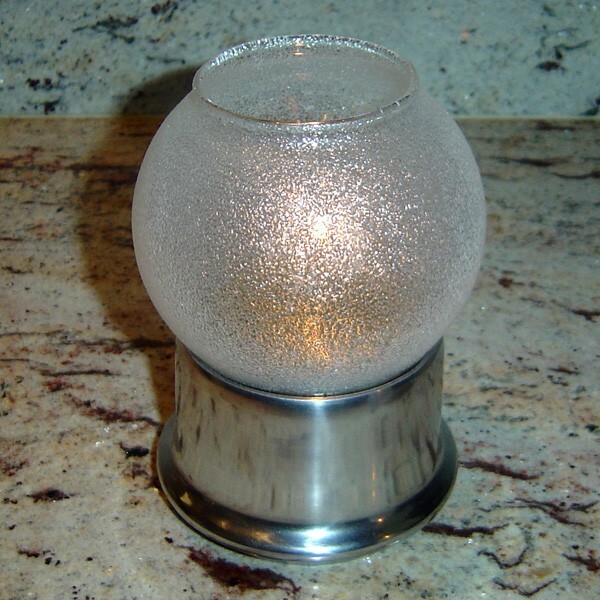 A classy and unique round globe candle lamp; rarely seen. With its coating of glass beads this beautiful lamp has a lively sparkle. The aluminium silver coloured base is indestructible, pure luxury and stands out from the crowd complementing the table top especially on a white table cloth. Size 12cm tall by 10cm in diameter.